The principles of sustainable development necessitate that a balance be maintained between environment and development to ensure a sustainable future. In India, growing population and rapid urbanisation is resulting in significant land being used for settlements resulting in decrease in open spaces across many cities. It has long been established that the presence of natural areas in and around urban settlements contributes to a quality of life by providing important ecological, social and psychological benefits to humans. Amongst the rare exceptions are cities established after India’s independence, such as Gandhinagar and Chandigarh, where the urban greenery was pre-integrated in the City Master Plans at the initial design phase. However, the recent trends and analysis indicates that Chandigarh region has been seen struggling to maintain a balance between economic, environmental and social sustainability. Today, the periphery of Chandigarh is characterised by unregulated construction and rapid urbanisation. The Urban Green Spaces framework is not yet integrated in regional planning in a systematic way. 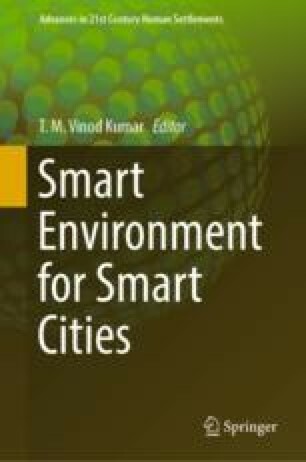 In this research, the authors have assessed the organization and implementation of the existing framework and structure of the urban green spaces and its planning in Chandigarh Region Area. Though the green spaces in the city were integrated with the master plan, the periphery spaces have not been successfully addressed. This research aims to develop a comprehensive conceptual framework for urban green space for Chandigarh Region based on spatial planning and ecological principles. Attempt has been made to propose a smart urban green strategy for the Chandigarh region. Built upon the geospatial technological tools the framework will help in identifying and protecting the green spaces in the region.